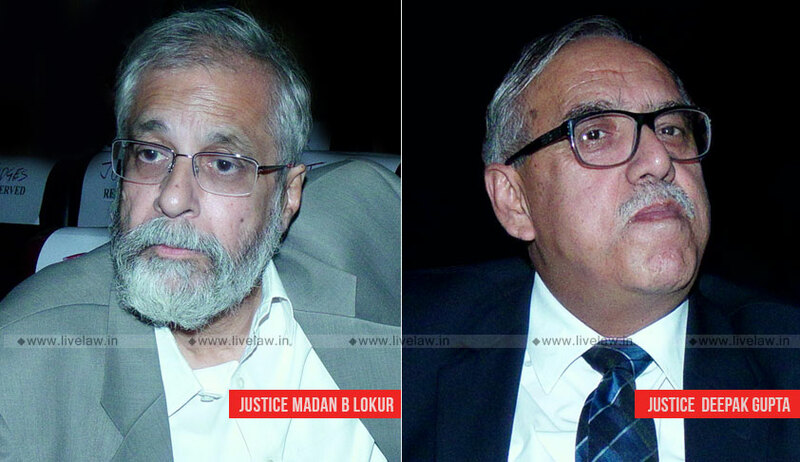 The Apex Court bench comprising Justice MB Lokur and Justice Deepak Gupta opined that changing the CBI team at this stage would be detrimental to the ongoing investigation. “We don't see any reason why the existing CBI team, probing the Muzaffarpur shelter home case, should be changed at this stage,” the bench said, after being informed by Attorney General KK Venugopal that the current team was constituted by the CBI director on July 30. In its order passed on 29 August, the High Court Bench comprising Chief Justice Mukesh R. Shah and Justice Ravi Ranjan had lamented the amount of work that still needed to be done by the agency, after a perusal of the status report submitted to it. The Court had further appointed Ms. Prakritita Sharma as the amicus curiae, requesting her to visit the places where the victims were accommodated and interact with them. Post such interaction, she is expected to submit a report on their rehabilitation. The Bihar State Legal Services Authority was directed to provide her with the requisite facilities. Additionally, the State government was directed to file a detailed statement indicating the number of shelter homes in Bihar being run by NGOs, with particulars of those granted recognition and financial assistance by the State of Bihar. It further sought to know whether their accounts were being audited and whether social audits are being carried out. Lastly, the State was ordered to record the particulars of those shelter homes which are being run by the Government as well. The matter has now been listed on 17 September, when the CBI shall file the next status report. It was in June, 2017 that the Social Welfare Department, which looks after shelter and short-stay homes in the State, asked the Tata Institute of Social Sciences, Mumbai to prepare a report on their condition. However, little did the seven-member team of young psychologists of the ‘Koshish Project’ know that they would be blowing the lid off a sordid tale of sexual abuse of the scale that has surfaced. The report, submitted on April 26 this year, made startling revelations about “physical and sexual violations of girls,” especially at the Muzaffarpur home. The Department had then filed an FIR at the women’s police station in Muzaffarpur on May 31, seeking “suitable action” on the plight of girls interviewed by the TISS team. The political storm triggered by the report had then prompted the Nitish Kumar government to bring in the CBI. Meanwhile, the Patna High Court had taken suo motu cognizance of the allegations, along with other petitions on the incident filed before it. Pursuant to an order passed by it on 6 August, the High Court has been monitoring the CBI probe. However, while it was expecting a status report on 23 August, it was informed that the investigation carried out so far was not being placed on record as one of the Investigating Officers, who was a part of the CBI team, had been transferred in the midst of the probe. The Court was also informed that even the regular Superintendent of Police/ HoD/CBI/SCB, Patna has not been appointed in the office, and that the charge has been given to another officer from Lucknow, who will be handed over additional charge. The matter was then adjourned to 27 August, when the status report in a sealed cover was submitted by the CBI.